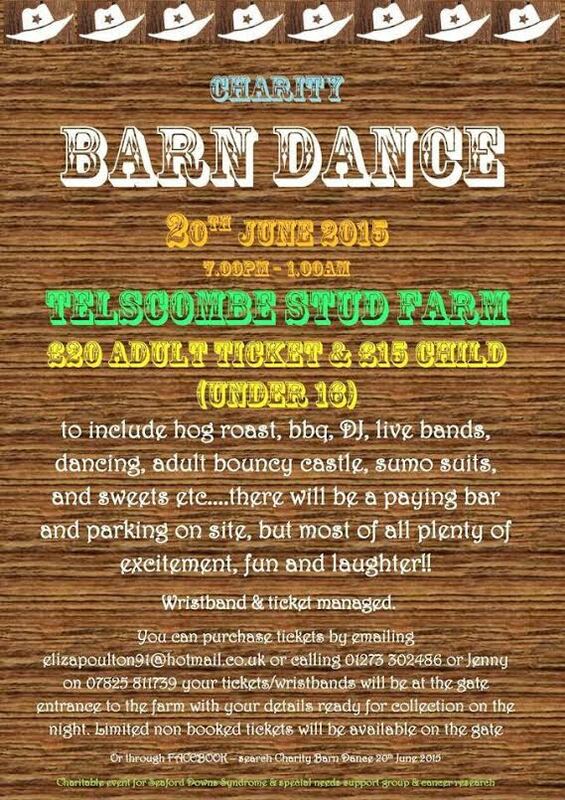 The Barn dance was held at the Telscombe Stud Farm on the 20th June, 7.00pm to 1.00am. Tickets were £20 for adults and £15 for children under 15. The evening included a hog roast, bbq, DJ, live bands, dancing, adult bouncy castle, sumo suits and sweets, with a paying bar.